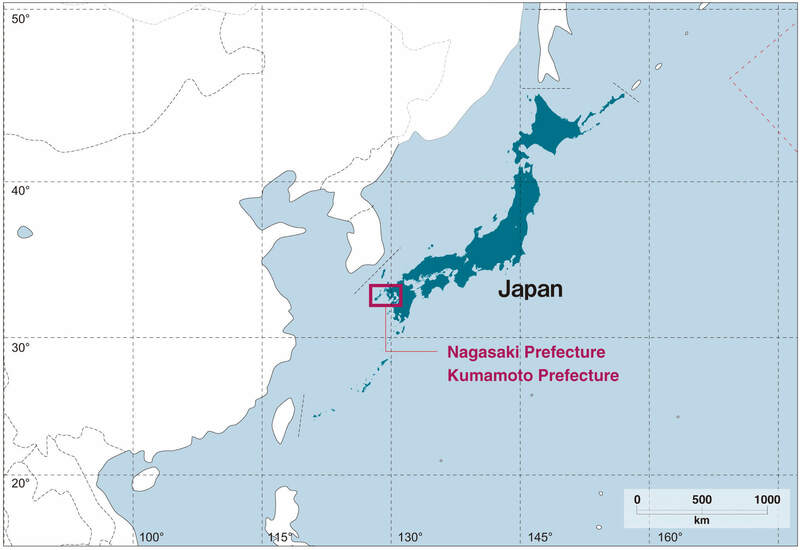 In our website, the ‘Nagasaki region’ refers to the mainland part and remote islands of Nagasaki Prefecture, as well as the area of Amakusa City in Kumamoto Prefecture. 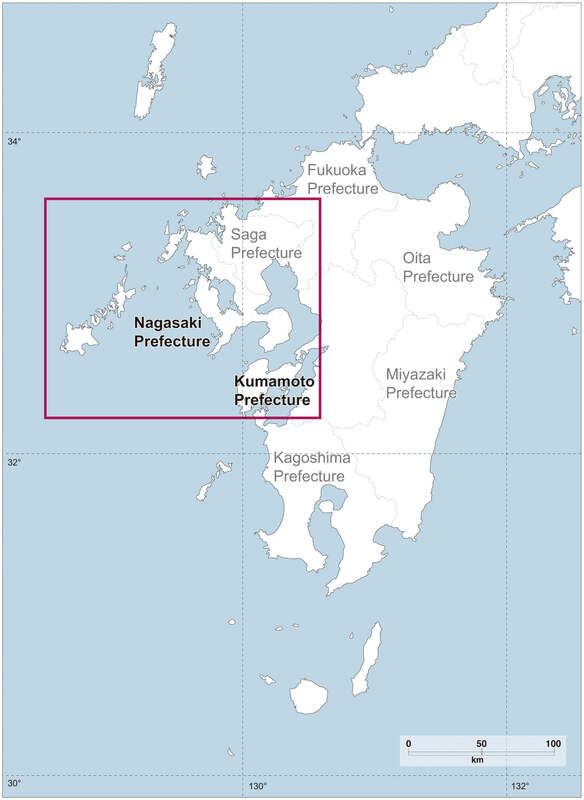 This region is located in the western part of Kyushu Island, which is one of the main islands comprising the Japanese archipelago. 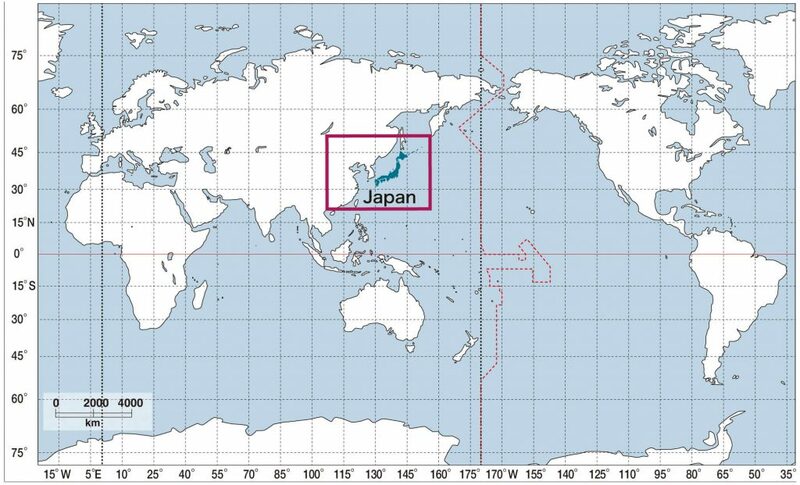 Japan lies at the far eastern edge of the area in which Catholicism was introduced during the Age of Exploration. The Nagasaki region, located in the western part of Kyushu in the south-western part of the archipelago, has served as Japan’s gateway for exchanges with the Asian Continent from antiquity and, in the latter half of the 16th century, Catholic missionaries were very active throughout the region. As a result, newly baptised Japanese in the region could receive pastoral guidance from these missionaries over a longer period than anywhere else in Japan, and Catholic communities became firmly established there. Based on these communities, even after Japan banned Christianity in the 17th century and not a single missionary was allowed to remain in Japan, some Catholics in the Nagasaki region nurtured their own unique religious system and continued to practise their faith in secret while coexisting with the conventional society and its religions. After the ban on Christianity was lifted in the latter half of the 19th century, the Hidden Christian communities rejoined the Catholic Church and built churches in their villages, which visually marked the end of their clandestine religious system nurtured during the ban. Against this historical background, the Nagasaki region still has an exceptionally large number of Catholics and churches, compared with other regions in Japan.